We’ve done it! 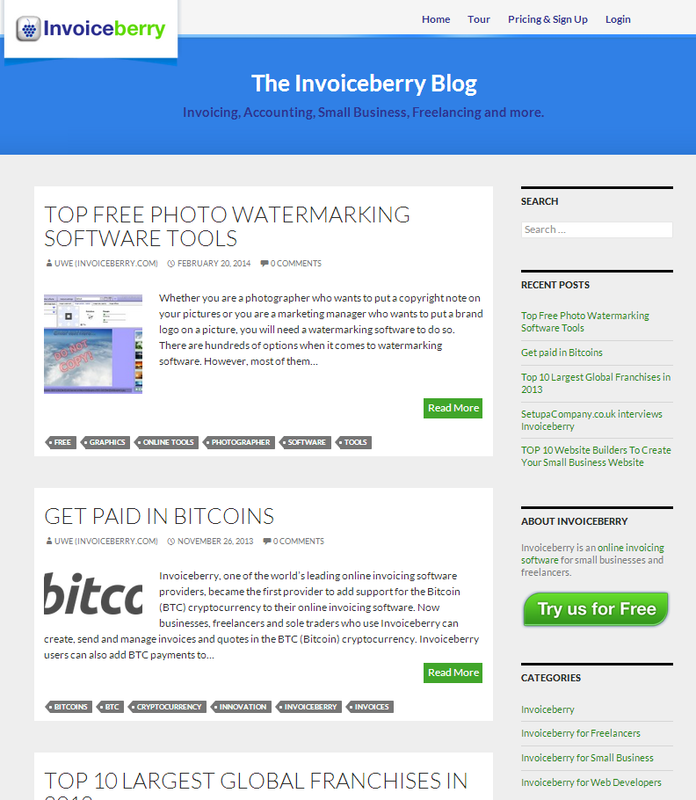 We relaunched our Invoiceberry Blog today. 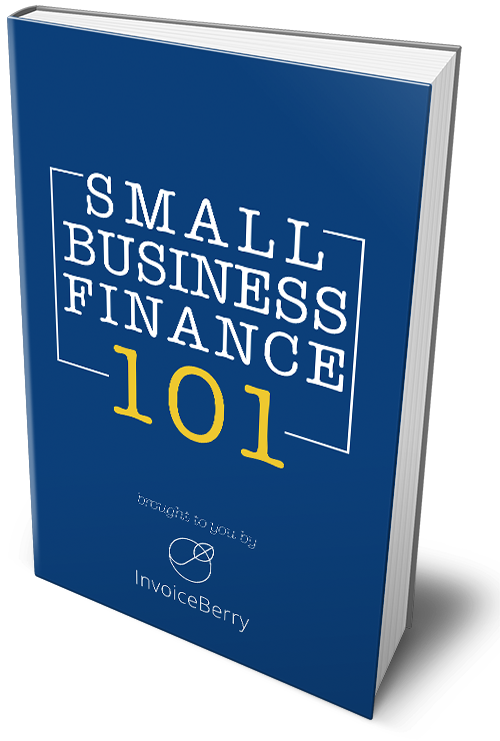 After a long process of brainstorming, meetings, generating ideas and browsing other blogs we finally relaunched the Invoiceberry Blog. The new blog design is one of many changes around our blog relaunch. We decided to keep it very simple as we are no fans of fancy designs without any functionality. We also made the design of the home page clearer and more structured, helping blog visitors to easier navigate the pages. Instead of having the entire background in white we changed the background to a light gray and put the articles in white boxes This helps to separate articles from each other which has been a problem with the old design. We’ve also improved the incorporation of the author box as well as the related articles box. The new authors box was especially important for us since the relaunch also includes the editorial part of the blog. The changing of the visible part of the blog design, however, wasn’t the biggest change. We finally upgraded our blog theme to run on the basis of the WordPress Twenty Fourteen (2014) theme instead of the very old WordPress Twenty Ten (2010) theme. Now the technology behind the blog is also up to today’s standards. 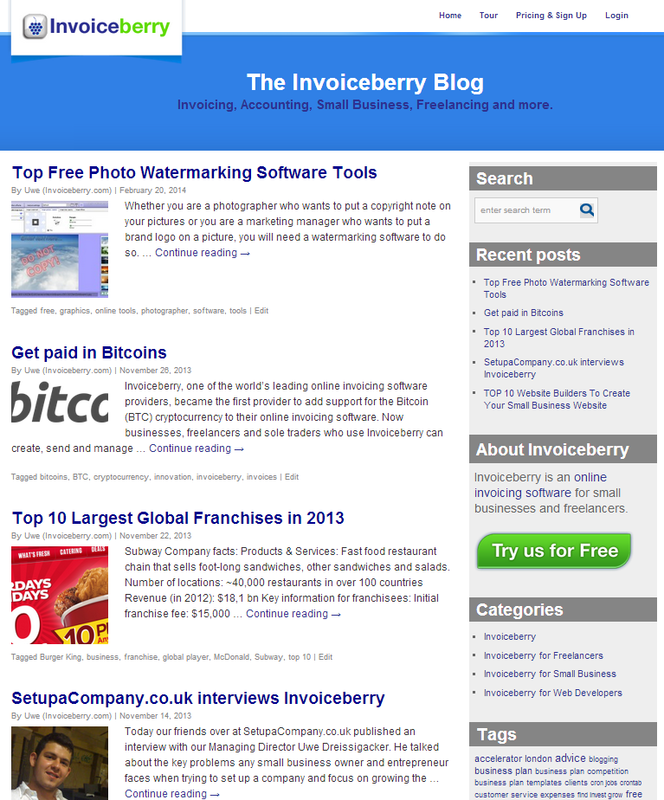 We’ve also had major works on the editorial part of the Invoiceberry Blog. We stopped our regular blog posts back in November 2013 and had a 2-3 months quiet period since we weren’t 100% happy about how things were going. We’ve now created a bunch of new exciting content which will be published soon. We’ve also created some partnerships to provide you with even more and better content on a regular basis.